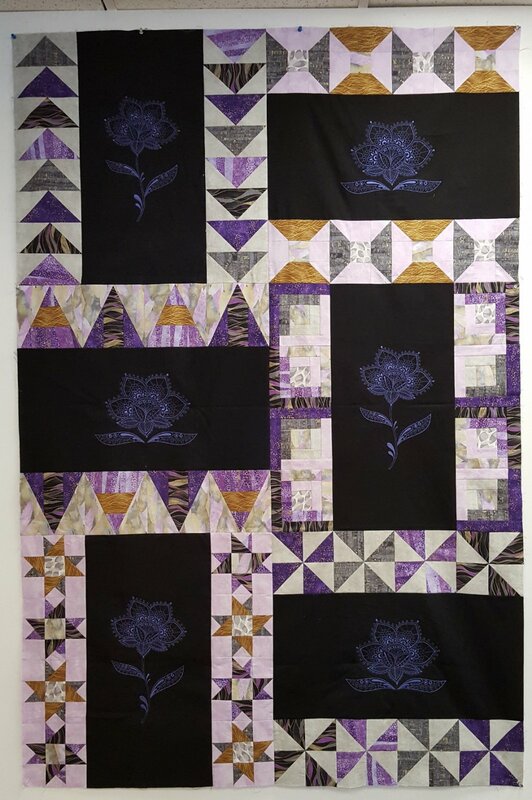 This class is designed to teach techniques that are used in many simple quilts. We will concentrate on machine applique, strip piecing, and half-square triangles. The pattern focuses on large animal appliques; however,other designs can be used. Machine embroidery, computer generated machine applique or pre-printed panels can fill in the 12" x 24" rectangles. Pieced border highlight the designs. Before signing up for this class, you should know how to use a rotary cutter and sew an accurate 1/4" seam allowance. Click here for the Basics Plus supply list.